Jasper Contractors, Inc. is seeking an experienced candidate to join leadership team. “The annual salary for the VP of Operations is $175,000 plus monthly bonuses and benefits, and with these incentives, our team is searching for the best candidate possible,” says Brian Wedding, Owner and CEO of EX Capital. Jasper Contractors, Inc. has been in business since 2004 and is known for being a top high-volume roofing contractor throughout the industry. This is the third year the company has been working in Florida with offices in Ft. Myers, Jacksonville, Orlando and Tampa. With the growing need of residential roofing projects throughout the state, Jasper Contractors is looking to build their team. The company is well-known for its pay structure but probably more so for its healthcare coverage. 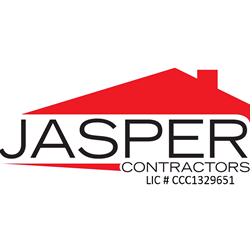 Jasper Contractors pays 100% health insurance premiums for employees and their family members after 60 days of employment. Aside from company benefits, Jasper Contractors provides a company vehicle and fuel card along with additional perks. To view the Vice President of Operations position or other open positions, visit http://www.JasperCareers.com/jobs. Jasper Contractors, Inc. will be scheduling interviews for this position in the coming weeks. Jasper Contractors, a high-volume roofing company headquartered in Atlanta, Georgia, has offered roofing services since 2004. Company offices are located in Atlanta, Evansville, Fort Myers, Jacksonville, Orlando, and Tampa. Jasper Contractors is an Owens Corning Platinum Preferred Contractor and is BBB accredited. Jasper Contractors, Inc. is a subsidiary of EX Capital, LLC.